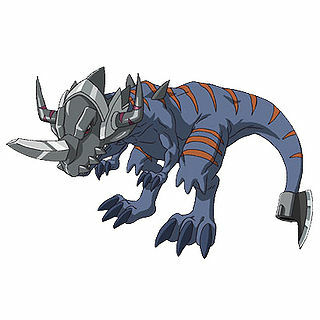 Greymon is the Partner Digimon of Aonuma Kiriha and a member of Blue Flare in Digimon Xros Wars. Greymon is fiercely loyal to Kiriha, fearlessly taking on any opponent his general commands him to. Greymon appears in the Super Digica Taisen card game. This page was last modified on 4 December 2016, at 02:48.